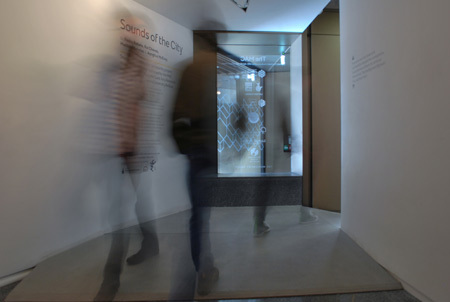 The sound of footsteps made by thousands of shipyard workers returning home evokes memories of Belfast’s industrial heritage. 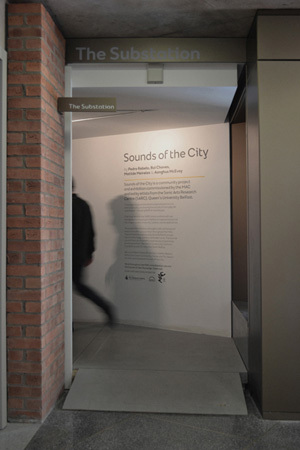 As you enter the Substation, the sound of your own footsteps becomes part of that iconic aspect of Belfast’s aural identity. 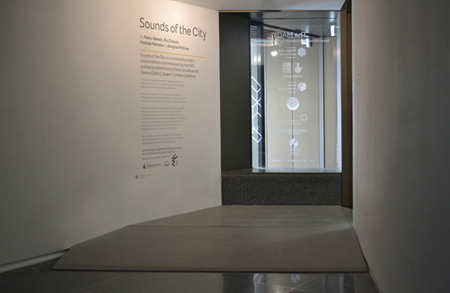 The basis for this section of the exhibition was provided through interviews with elderly members of both communities, while younger participants reconstructed some of the audio material presented here.